Japanese Painting Technique SUMI (Ink Sticks) *w/Eng. HOME / WORKSHOP / Japanese Painting Technique SUMI (Ink Sticks) *w/Eng. In China, there has been a saying that “Sumi serves as five colors” since ancient times. “Five” is said to be a number to govern all things, and this “five colors” does not simply refer to five different colors; it represents colors that can express colors of “all things”. True to this word, sumi ink can create infinite ink black depending on the production techniques and conditions. It is a colorant that we should be proud of. 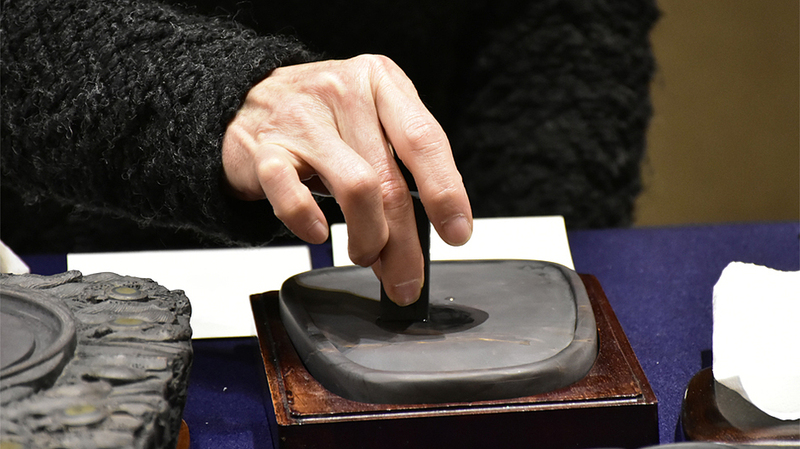 The five crucial keys of sumi are “soot”, “animal glue”, “inkstone”, “paper” and “water”. Among these, water plays a huge role; water as “a water quality” and “water as an atmospheric humidity” both have a great effect. Here lies the reason why those paintings are not called “sumie (ink painting)” but “suibokuga (water ink painting)”. From these five elements, we will examine the world of sumi through the theory and practice of “five colors”. 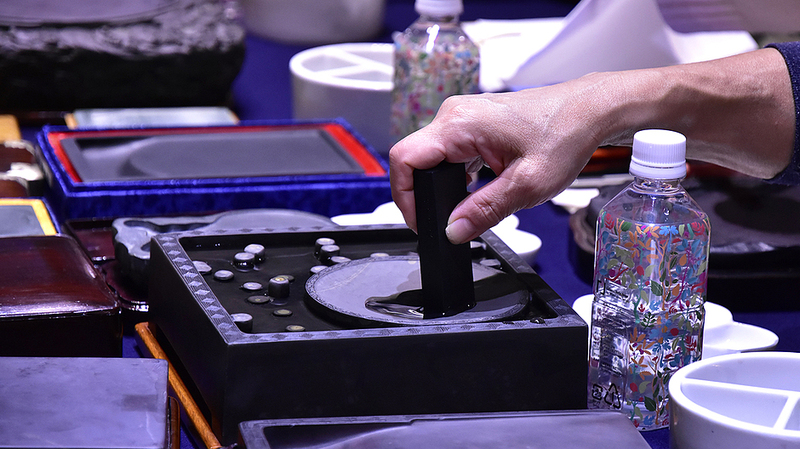 In this workshop, you will be able to try various inkstone from popular one to luxurious one. Also, please bring your sumi ink or inkstone if you want to have them appraised. 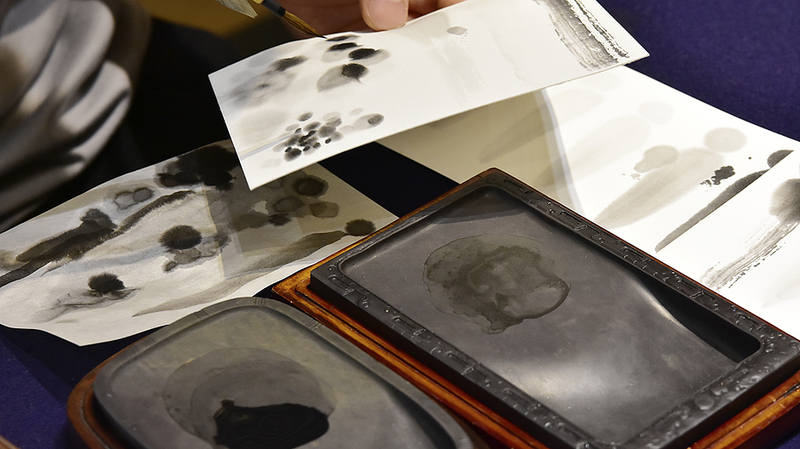 This workshop is for anyone who paints with sumi ink, who wishes to use sumi in the future and people who work with sumi ink. We hope to offer knowledges to broaden your expression. Please do take part in. He graduated from Kyoto University of Art and Design with Doctor of Fine Arts degree in 2015. His thesis was about use of animal glue in painting. While teaching about art materials at Kyoto University of Art and Design, he also continues his career as an artist. Main concept of his works is physical existence of materials.